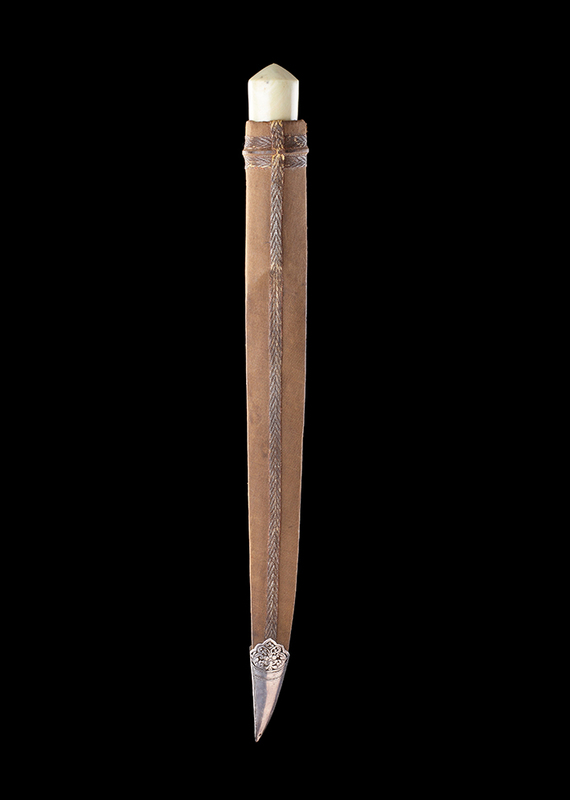 The long scabbard covers most of the kard’s handle, as is traditional, and is made from wood covered with velvet that is now worn. It has been fitted with a silver chape that has been engraved and finished with attractive openwork, and decorated with silver wire ribbon. S. Kaoukji, Precious Indian Weapons and other Princely Accoutrements (the al-Sabah Collection), Thames and Hudson Ltd, 2017, p.239.